My first road legal bike. Bought for the sum of £25 - insured for the sum of £41. It started off as a more or less standard D14/4S - the "S" standing for sport. 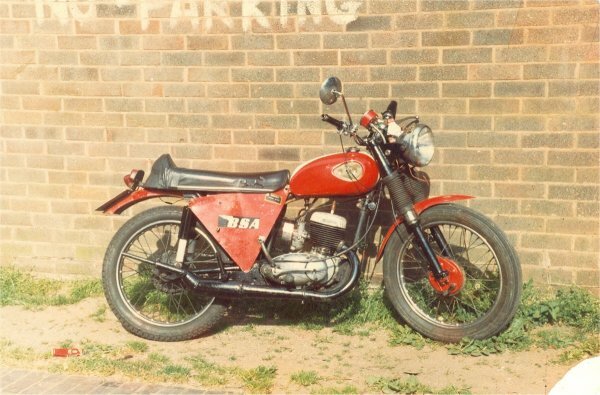 With a big bore high level exhaust, heavy front forks, full width hubs, humped seat and fly screen, this was BSAs attempt to lure the youth of the day. It fell flat on its face. I did all manner of unspeakable things to this bike. If you look closely at the above picture you can see a sidecar mounting lug on the front frame down tube. Yes - I ran a Bantam outfit. Sadly all my photographs of this magnificent machine were stolen, well the negatives were. Following the outfit was the performance Bantam. This saw a Wal Phillips fuel injector, padded flywheels, stuffed crankcases and expansion chamber exhaust. It went fairly well. Fuel economy dropped as low as 16 mpg, and if you missed a gear then the con rod would exit through the crankcase. All good fun. For all its faults, or should that be all my faults, the Bantam served me well. I toured the Lake District on it. I passed my bike test on it. 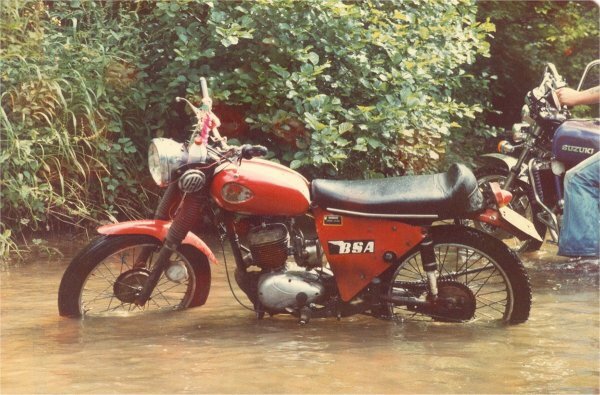 The Bantam finally ended up being owned by Rod Biddle's son, Adrian. I don't know what Ade did with it, but I hope he had as much fun with it as I did.